In the nights of Tokyo, mysterious deaths involving the ‘Reborn Dead‘ occur. People that are disappearing at night suddenly reappear during the day as a corpse. Not only that, but as the corpses are sent to the morgue to be autopsied, they disappear again leaving signs showing that they escaped themselves. To fight these ‘Reborn Dead’ and to prevent more deaths, mysterious transfer student, Tatsuma Hiyuu, and delinquent student, Kyouichi Houraiji, stay up every night to fight and solve what’s causing this. 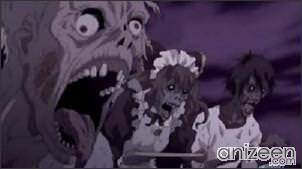 Along with the rest of their group, who all have supernatural powers, they soon realize that a greater threat, which involves even more powerful demons, is near. Tatsuma seems to be an experienced fighter; he knows a person’s vital points, whether or not they’re fighting seriously, and if they have killed before. He is often the first to realize a threat that is approaching them and sometimes gets a strange feeling when someone in danger is near him. Tatsuma Hiyuu is a mysterious boy who transfers to Magami High School in his senior year. He is often shown as being very silent and carefree, but is shown to have more insight on the people around him. He usually hangs out with Kyouichi and helps him fight gangsters from other schools, giving him the status of the fifth most delinquent student in Magami High School’s history. Tatsuma is probably the only one in the group who is close to Kyouichi and would often calmly tease and irritate him. 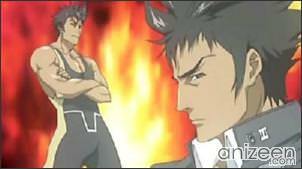 Kyouichi Horaiji is a well-known delinquent at Magami High and boss of a gang, who always carries around a bokutō. He often gets into fights with gangsters from other schools. When he first encounters Tatsuma, they engage in a fierce fight, which turns out to have been just a way of getting to know each other. Aoi Misato is a girl from a rich family and the President of Magami High School’s Student Council. 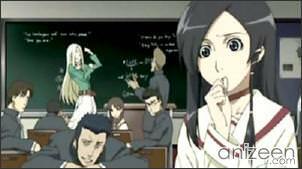 Aoi is a sensitive person and gets very upset when she is unable to help someone. Years ago she was unable to save her friend from a fire; this gave her a strong desire to protect people. There is a scar, which she received during the fire, on her lower back, though only Hiyuu knows about it. 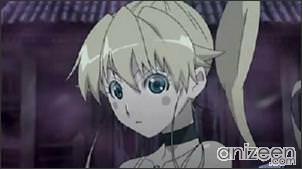 Aoi seems to harbor feelings for Hiyuu, which can be seen in the last few episodes of the first season of the anime. Komaki Sakurai is captain of the Kyudo Club and Aoi’s best friend. She is quick to defend Aoi when Kyouichi says mean things about her. 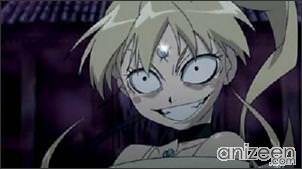 Unlike Aoi, Komaki is aggressive towards people who get in the way or harm those she cares about. Komaki is shown to have lost a kyudo club friend, who became an oni in order to locate and take Komaki’s shooting arm. Yuuya Daigo is captain of the Wrestling Club and an excellent cook. 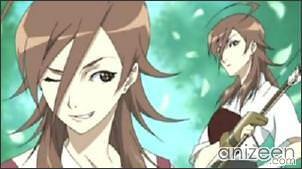 Yuuya also happens to have a crush on Komaki. 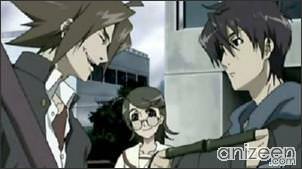 When Tatsuma first transferred to the school, Yuuya had challenged him to a fight. 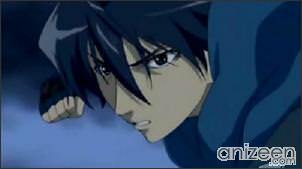 He was on the verge of losing to Tatsuma before they were interrupted by Aoi and Komaki. 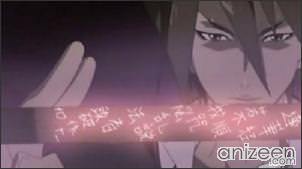 Yuuya sometimes fight with magical chains. 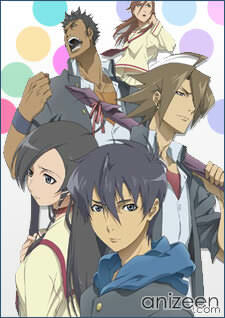 Tokyo Majin Gakuen Kenpuchou: Tou (東京魔人學園剣風帖 龖) is an anime series based on a Playstation game of the same name. It’s directed by Shinji Ishihira. 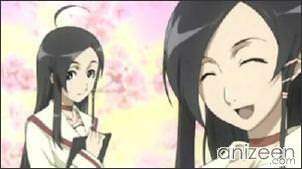 It was first aired on a Japanese television network called Animax on January 19, 2007. The number of episodes has yet to be released. Which episode did you like best from the series? so umm? where are the rest of the episodes? did everyone give up on this season? Well, SHS fansub did finished this with english subs. and they sure did pick a great part to stop the show too. but its not as bad as this damn codegeass cliffhanger going on now.